media | That's what B said. It is difficult not to have caught wind through the media’s constant references (“Madame Beanut,” “Lady Bianca Manatee,” “Burrito Miller,” “Sausage Shaped Goddess,” “Nugget of Love”, etc.) that my curvaceous figure has become quite the subject of interest and fascination both here in New York and internationally. Well, Mr. Twain died some years ago, but luckily we have Zac Posen to remind us how clothing should fit a lady and enhance her best features. His new line, Z Spoke, focuses on expertly cut feminine dresses at reasonable prices. Just darling, I say! Sir Posen describes “Z Spoke” as a line for the strong-willed business woman who transforms into an elegant, downtown creature at night. Well for goodness sake, there couldn’t be a more suitable description for yours truly! I’m almost convinced Mr. Posen is speaking directly about me! 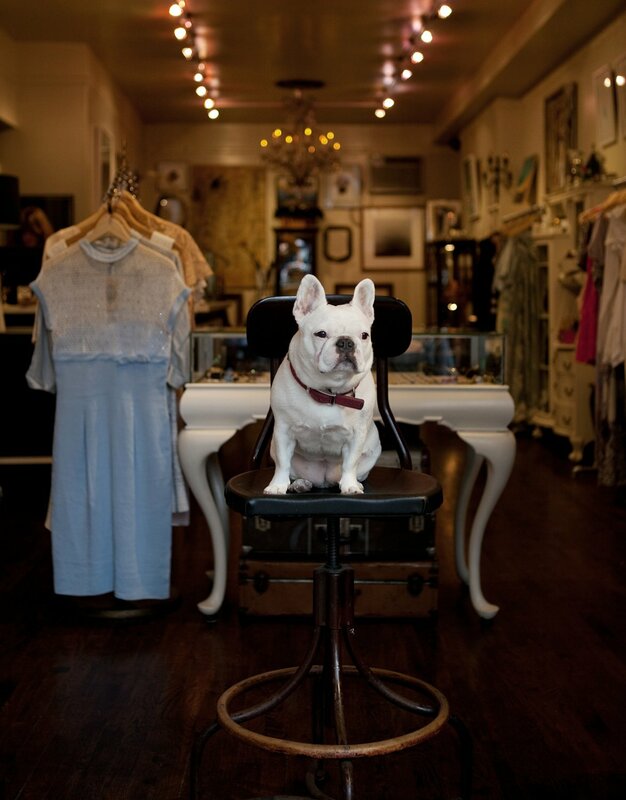 Photo of me in my little shop, Eponymy, taken by Erika Larsen for Inc Magazine. Notice my curvaceous hips in perfect harmony with the intricate tone of my abdominal muscles. Exactly the type of attributes showcased by Zac Posen's Z Spoke line. At any rate, several Z Spoke styles are now available at Eponymy, my little store on Bergen Street in Brooklyn! Below are a few of them, though I have to say the photos do not do these dresses justice and I would wholeheartedly recommend dropping in to see how one of these lovelies looks and feels on!